I have several of these big iris and and big tulip paintings that you might want to check out an compare as each turns out a bit differently. 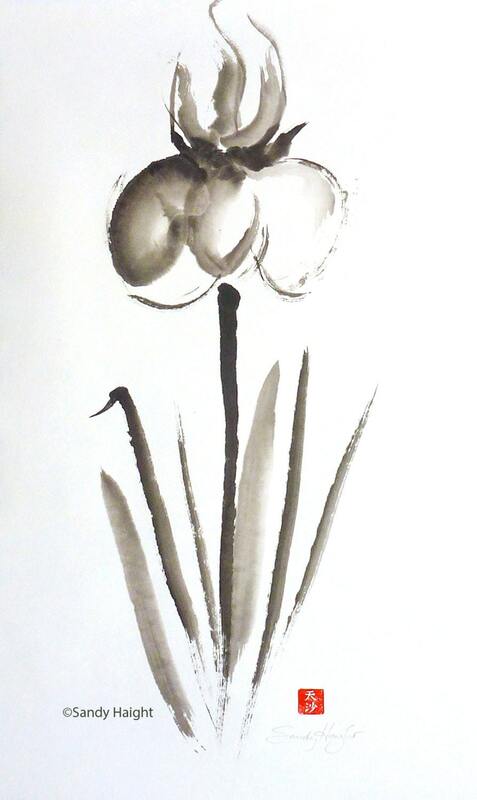 Pairing a Big Iris with a Big Tulip would be a great choice to decorate a room with a sumi-e sensibility. This is the only framed one. This is an original painting, not a print. It is painted on rice paper with sumi ink & watercolor and mounted on masa paper to flatten the rice paper and make it more substantial. The art is signed with my name and my personal red chop. It is matted with white archival mat board and backed with archival foam core and framed with a simple, slim black metal frame to add grace and beauty to any room in your home. Artwork comes with a signed Certificate of Authenticity. (The copyright notice is not part of the product, just protecting use of the image file). Image size: 13.5" x 23"
Frame size: 20" x 29"
I’ve been using watercolor and ink brush line in my illustration work for nearly 20 years, but in a much more controlled and predictable way. My pictures appear on book jackets, ads, posters, logos and packaging all over the country and Canada. If you’d like to see my world of client driven projects, check out my published artwork at http://sandyhaight.com. 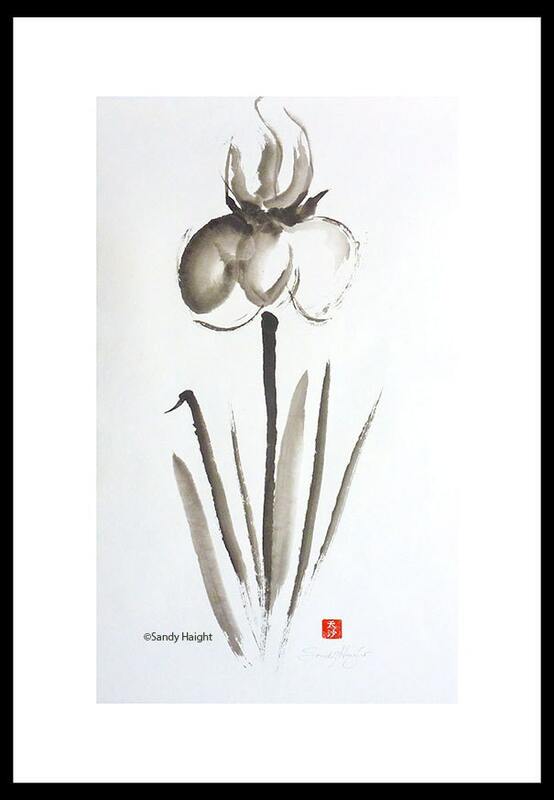 My Watercolor Life Drawings, Sumi Figure drawings and Floralscapes can be seen in other sections of this Etsy shop and on my fine art web site at http://sandyhaightfineart.com. I show my work in the Seattle, WA region. I was honored to be the gold honor winning poster artist for the Skagit Valley Tulip Festival in 2016 with my watercolor painting of a tulip bouquet. In 2012 I qualified to be a signature member of the Northwest Watercolor Society (NWWS). This is earned by being juried into a select number of local chapter and international watercolor society shows sponsored by NWWS. The initials now follow my signature on recent watercolor paintings that can be seen in the Floralscapes section of this shop.